It effectively controls termites and other soil insects in field and plantation crops, as well as in factories, furniture, and buildings. Prepare termiticide emulsion by mixing 1500ml of the product in 100 litres of water and drench the soil around the tree (8cm width and 30cm depth) with 2.5 litres of the above emulsion. Dilute 2500 ml of the product in 50 litres of water and use 5-6 litres of this solution in the foundation and sub-slab area and around the perimeter of the building per linear meter in pre-construction. In post construction, inject solution through holes drilled into the ground slab at a distance of 30-50 cm apart. 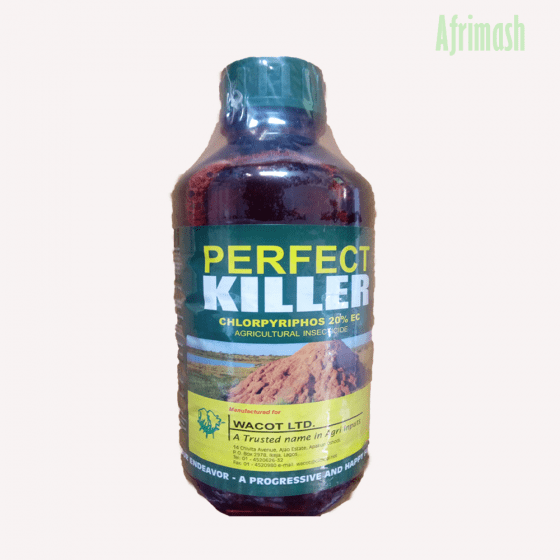 Use at 125-250 ml product per 10 litres of water against cockroach, spider, ants, fleas, mosquitoes at 1 per square meter.